George H.W. Bush has apologized to actress Heather Lind after she wrote and later deleted a lengthy Instagram post accusing the former President of sexually assaulting her during a photo opp. 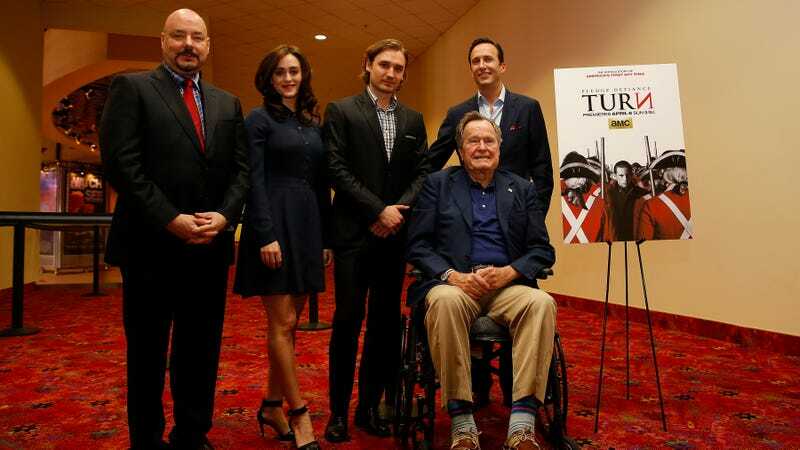 Lind, who was a star on the show Turn: Washington’s Spies, was prompted to air her accusation after seeing a photo of Bush shaking hands with former President Barack Obama at a charity event—the similarities of the photo reminded her of the alleged incident. “…when I got the chance to meet George H. W. Bush four years ago to promote a historical television show I was working on, he sexually assaulted me while I was posing for a similar photo,” she wrote, according to Deadline. According to Lind’s Instagram caption, Bush told her a dirty joke and touched her “from behind” while his wife, Barbara “rolled her eyes as if to say ‘Not again’.” Lind took solace in her power as a person with a platform, using it to enact change, much like a President should. All things must eventually come to an end: it appears that Tamar Braxton and her husband Vincent Herbert are finally getting a divorce, a month shy of their ten-year wedding anniversary and a year or so after a domestic dispute at the Ritz Carlton in Atlanta that ended with Vincent allegedly biting Tamar’s finger hard enough to draw blood. Braxton reportedly filed for divorce on October 24 and sources told TMZ that she had moved out of the family home. No disrespect to Gloria Gaynor or her disco classic “I Will Survive,” but something tells me that she should stop feeling “responsible for a lot of breakups” because of that song. Yes, empowerment! Slay, Gloria!! Nothing is more thrilling than that tinkling piano flourish at the beginning, even if you know what’s coming and have heard it so many times that you want to rip the aux cord out of the iPhone playing said song and run screaming into the night. It still bangs.